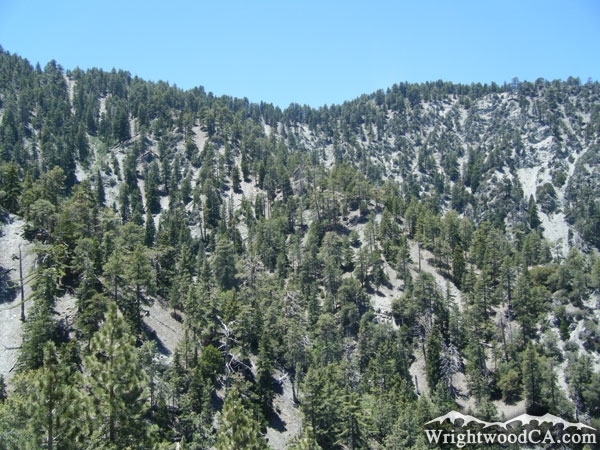 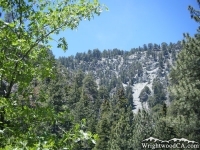 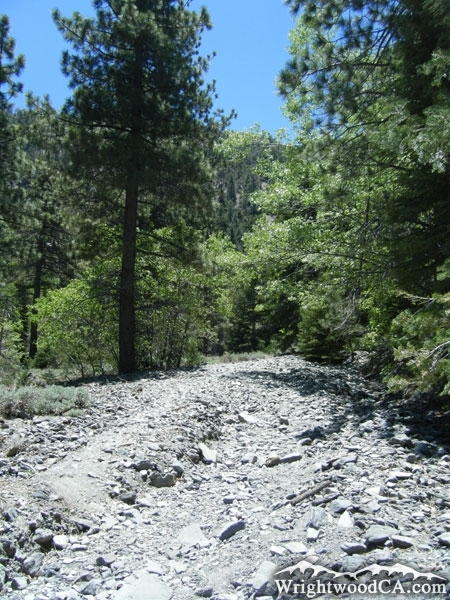 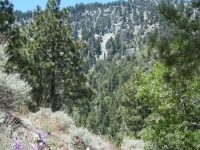 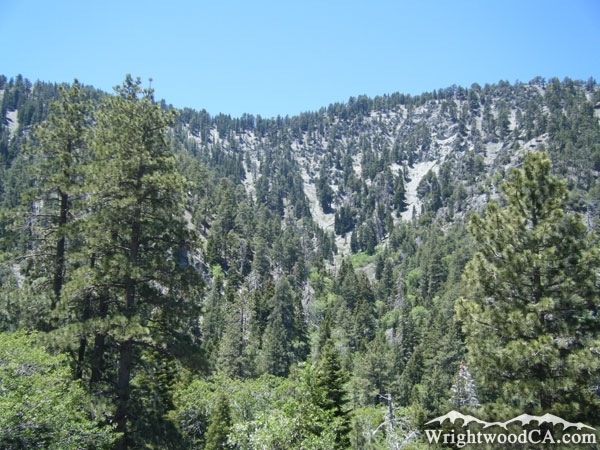 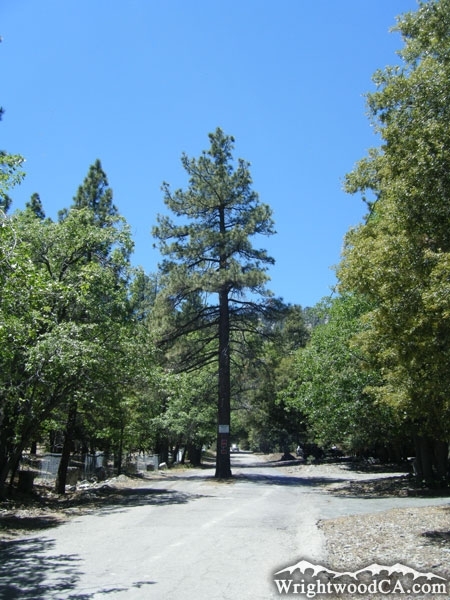 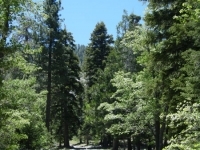 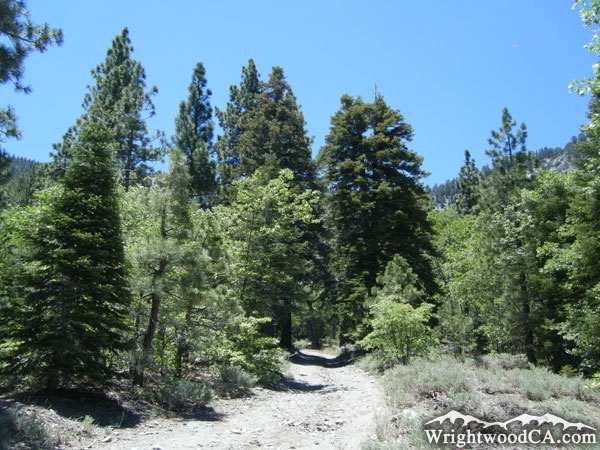 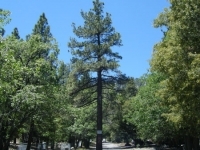 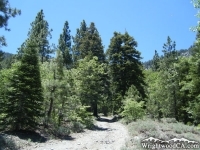 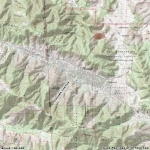 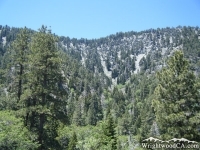 Acorn Canyon is located long the south side of Wrightwood, and branches out from Swarthout Valley. 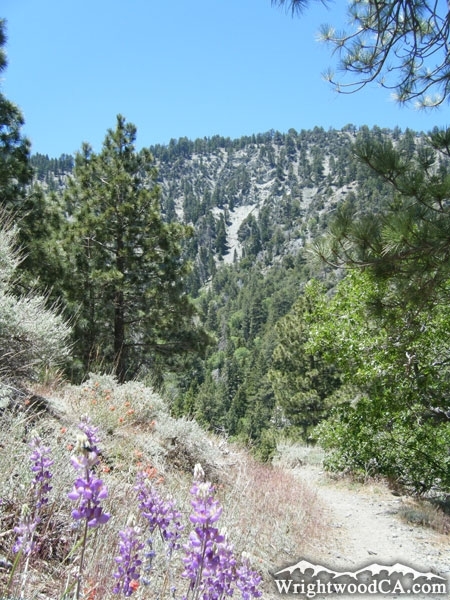 This Canyon digs into Blue Ridge and is home to the residential area on Acorn Drive and the Acorn Trail, which traverses up the canyon to the top of Blue Ridge where it meets with the Pacific Crest Trail (PCT). 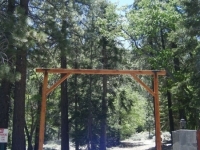 Acorn Canyon is a beautiful place to hike, especially in the fall when all of the leaves on the trees begin to change colors. 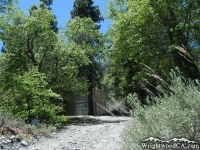 From the town of Wrigthtwood, you can access Acorn Canyon through Acorn Drive. 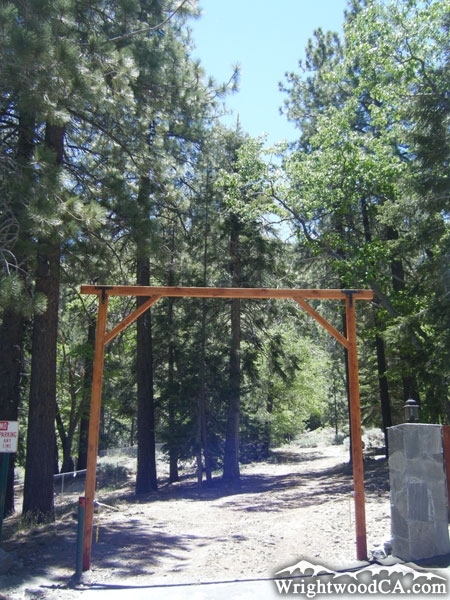 If you want to hike on the Acorn Trail, be sure to park in the residential area below the private road. 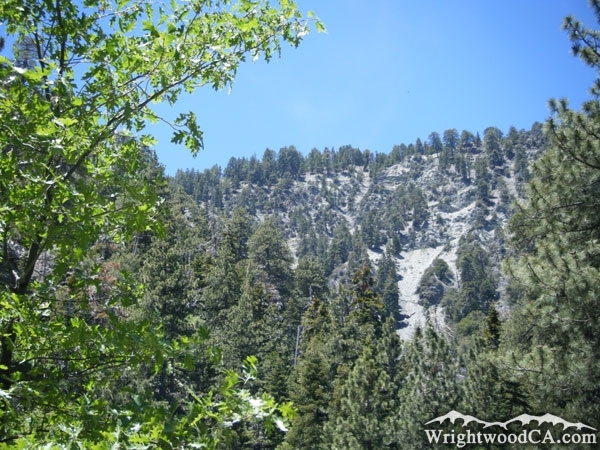 If you would like to see Acorn Canyon from the top, take Highway 2 westbound from Wrightwood to Inspiration Point. 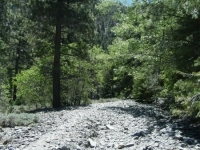 Take Blue Ridge Road from Inspiration Point to Guffy Campground, which will leave you on the south-west rim of Acorn Canyon. 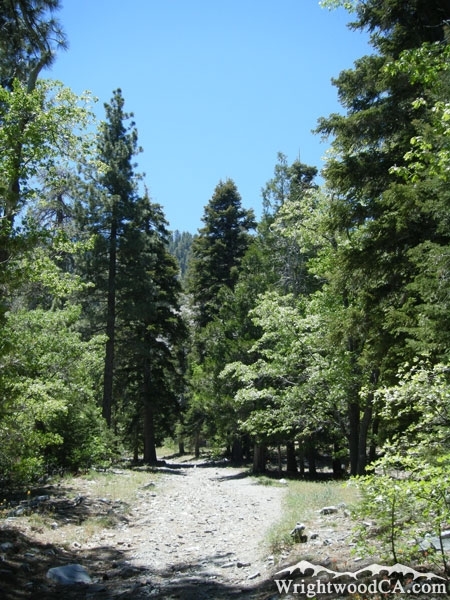 To access the Acorn Trail, take the southbound Pacific Crest Trail (which runs east at this point) for about a mile to its intersection with the Acorn Trail.